So this year, we’re starting off our PAC fundraising season with something fresh. New to MBI, we have created the 250 Club–an exclusive group of MBI-PAC supporters that are likely to be the next generation of construction industry leaders. Similar to the long-established 750 Club, MBI wishes to begin engaging those individuals in our overall legislative efforts to continually improve the industry. After all, these are the future decision-makers who will be calling the shots. Anyone who contributes $250 will be deemed a member of the 250 Club and will be recognized throughout the year in different MBI publications, as well as at the Annual Winter Conference in February. Supporting our upcoming PAC at the Track event this summer is an easy way to cement your place in the 250 Club. 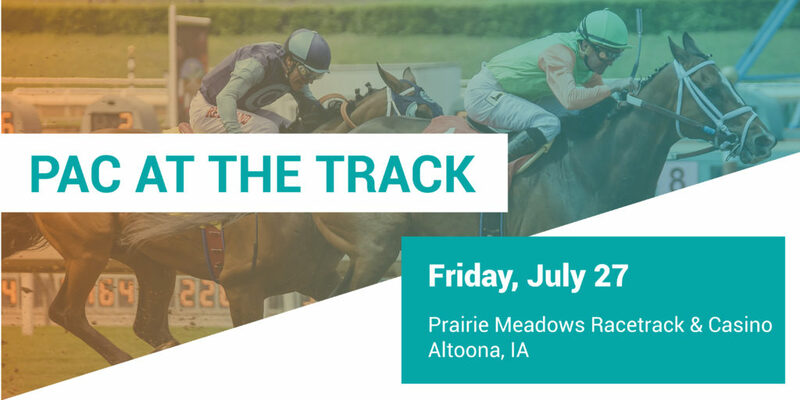 On Friday, July 27th, construction colleagues from around the state are going to gather at Prairie Meadows Racetrack and Casino for a fun-filled night of horse racing under the lights. Heavy hors-d’oeuvres and drinks will be served from 5:30-9:30 PM with the ponies starting to run at 6 PM. But be sure to bring a spouse or friend, because your $250 support does include tickets for you and a guest! To register for PAC at the Track, please visit our easy sign-up sheet here. And if you decide you want hotel accommodations, please visit Prairie Meadows’ website here.